See current LME prises through this link. We update these prices for you monthly. 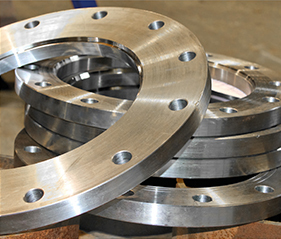 Founded in 1983, Van Bladel Trading & Partners B.V. has grown out into a steel supplier for firms like ship chandlers, that you can fully rely on. Our people have all the expertise required and stand out for their individual and flexible approach. We know you by name and prefer to do business in a pleasant and personal way. Our basis is an invariably creative working method. This saves time for both of us and accelerates and improves production and delivery. A few examples of this approach are the possibility of abnormal or unusual quantities of delivery, call-off orders and partial delivery. Van Bladel supplies and delivers from stock, and in the form of customized products, all according to your requirements and specifications.